We hear a lot about landlord-tenant disputes, so it’s important to understand the obligations of landlords as well as tenant rights in Michigan. There are many laws regarding this rental properties, including evictions, security deposits, and maintenance. There are also specifics regarding tenant guests and what happens if they’re injured while on the property. State laws, local ordinances or codes, and the actual lease itself, which is a legally binding contract between the landlord and the tenant govern these issues. Both the landlord and the tenant have obligations with regard to maintenance. The landlord is obligated to ensure that the property is fit for human habitation and within reasonable repair. 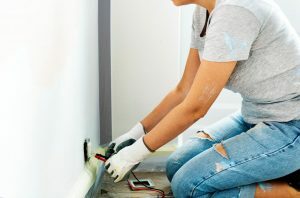 The tenant is responsible for keeping the property in a safe and sanitary condition, to promptly notify the landlord of any maintenance requirements, and to exterminate any insects that get inside the home. The timeframe the landlord is required to make repairs varies based on the severity of the need. For instance, if a furnace stops functioning in the winter, it’s going to need maintenance or replacement immediately because it creates an uninhabitable environment. Issues like water heater malfunction are not quite as urgent, whereas peeling paint may have a significantly longer timeframe before repair. Not only do problems like furnace failure and flooding make units uninhabitable, but they also pose a threat of injury to occupants, such as slip and falls, burn injuries, among other personal injuries. Always try to resolve the dispute with your landlord before moving forward with any actions. It’s always best to also leave a paper trail of your requests for repair, whether it’s via email or a written notice. If all else fails, there are a few options a tenant has. First, it’s best to consult an attorney and gain legal advice, because your options as a tenant are a little risky. One option is making the repairs yourself, keeping all your receipts, and deduct the cost of repair from your rent. Second, a tenant can pay the rent by putting it in an escrow account, which is managed by a neutral party, with the condition that the money not to be released until the repairs are made. Tom Sinas, Grand Rapids personal injury attorney, recently appeared on Fox 17’s Know the Law to explain some recent changes in rental ordinances in Grand Rapids. The first ordinance pertains to the actual application process and restricts landlords from charging prospective applicants anything above the actual cost to the landlord of conducting the background check. The second ordinance pertains to the security deposit. As the housing market tightens in West Michigan, rental prices are increasing. To help combat this and keep people in adequate housing, this new ordinances limits landlords from charging a security deposit that exceeds 1.5 the monthly rental price.